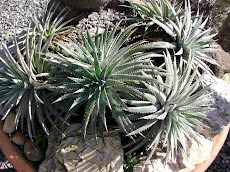 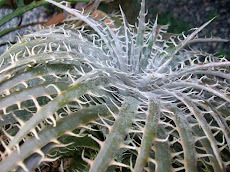 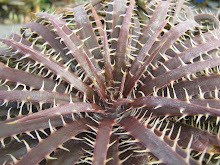 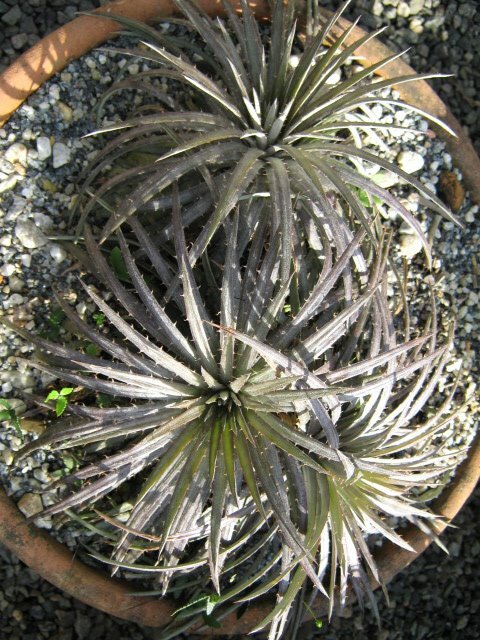 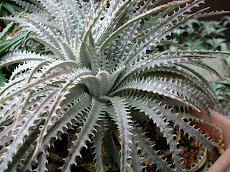 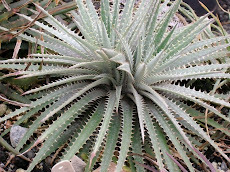 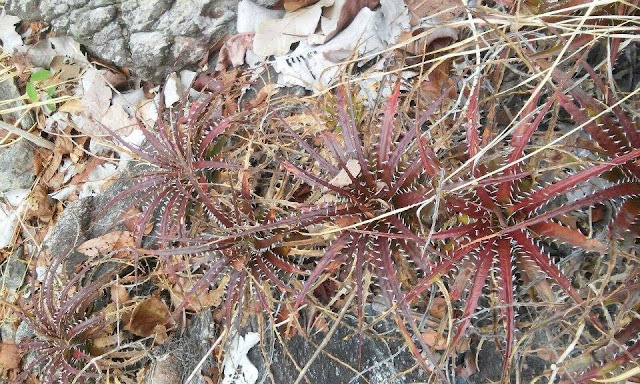 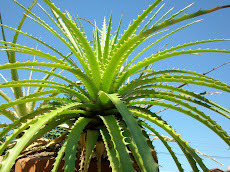 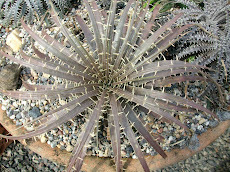 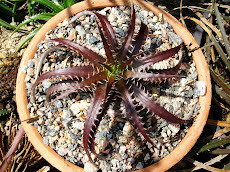 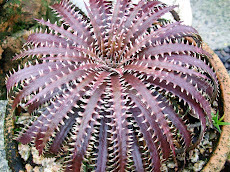 Dyckia fosteriana from Sengés. 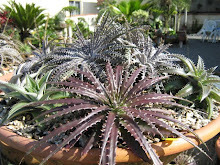 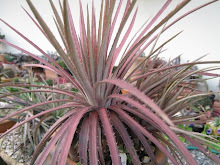 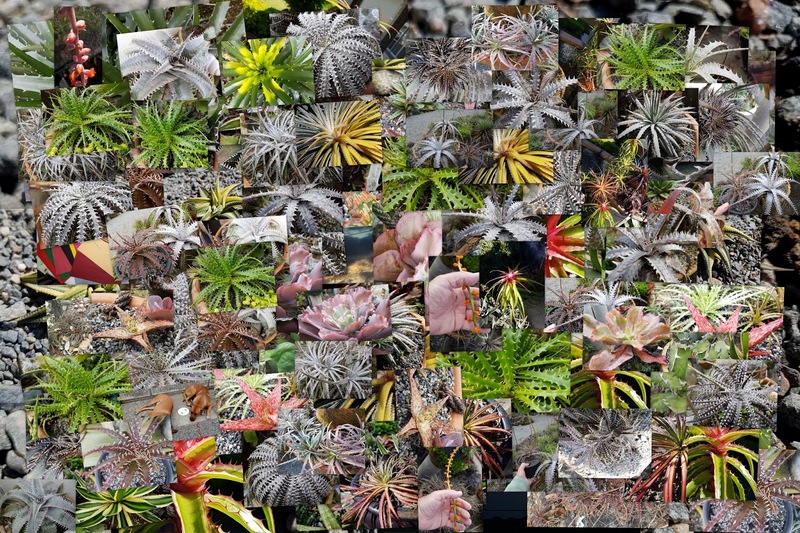 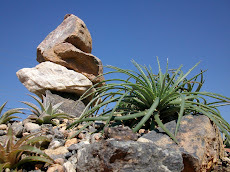 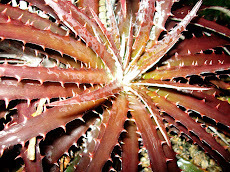 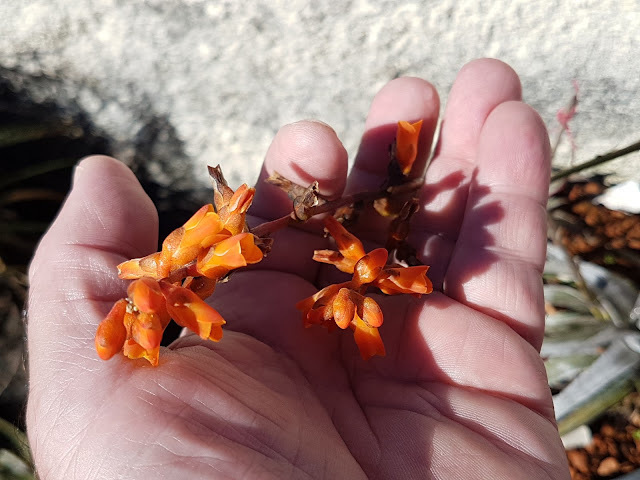 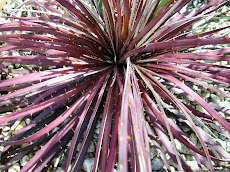 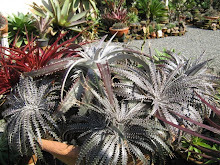 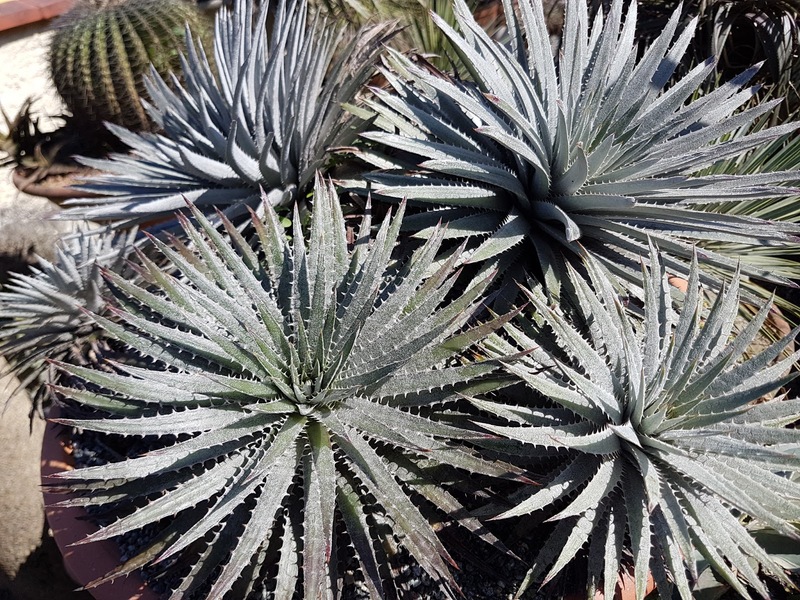 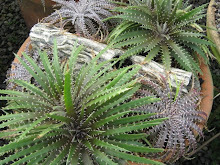 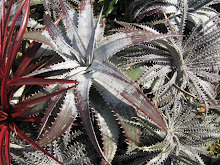 All and each Dyckia fosteriana Sengés!!!!! We can see sone two dozen different looks in there! 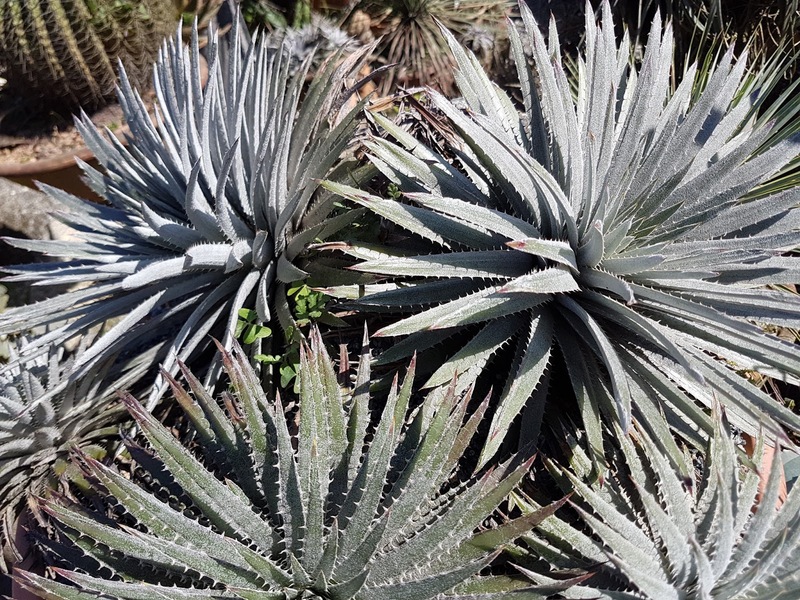 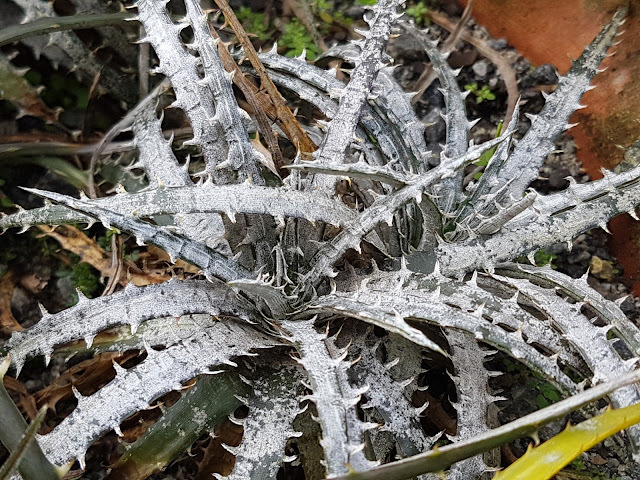 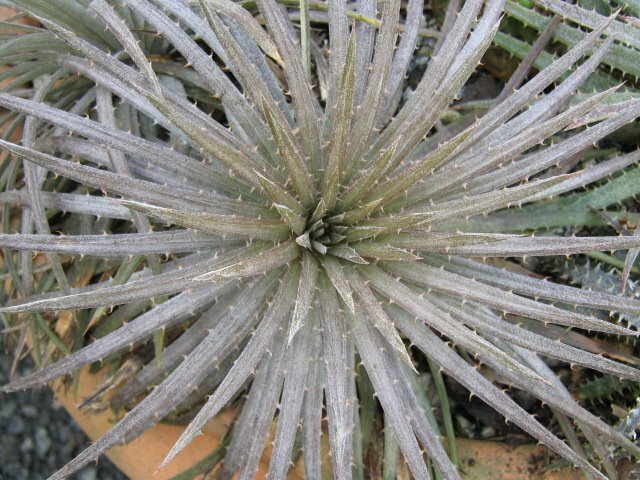 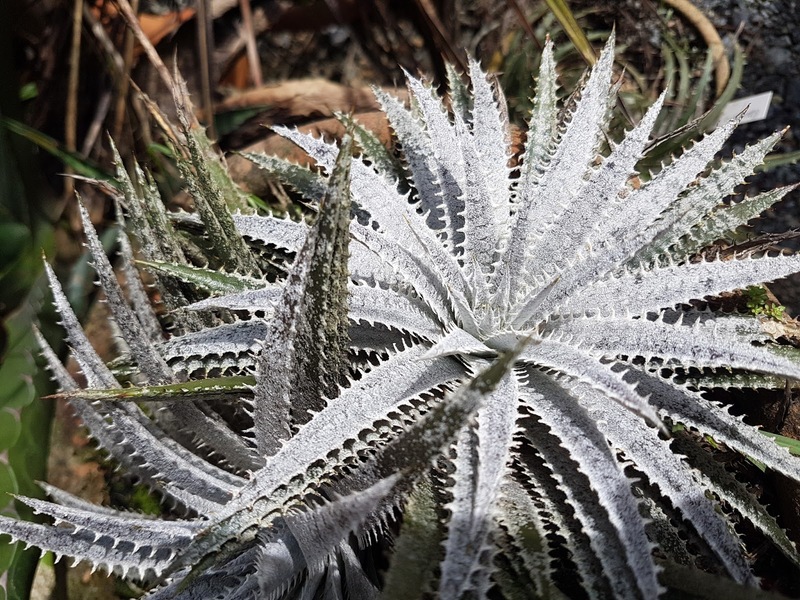 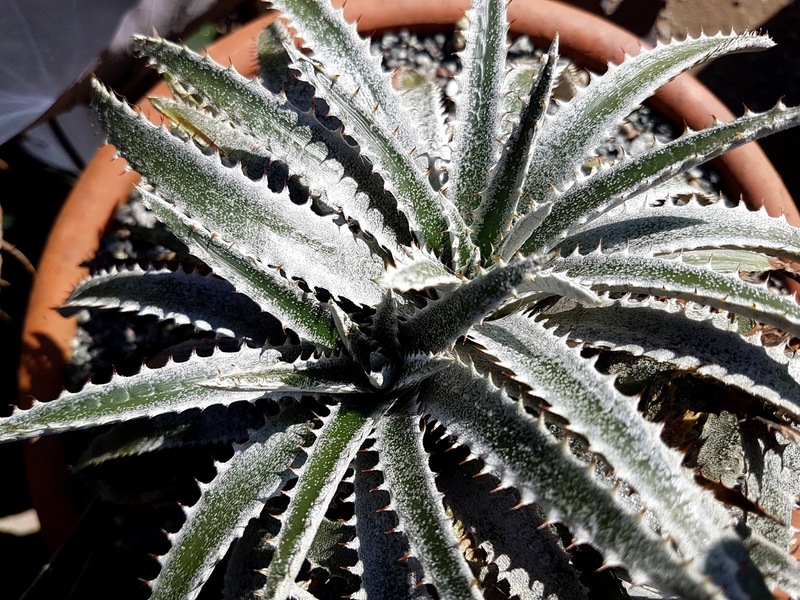 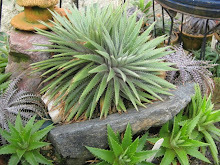 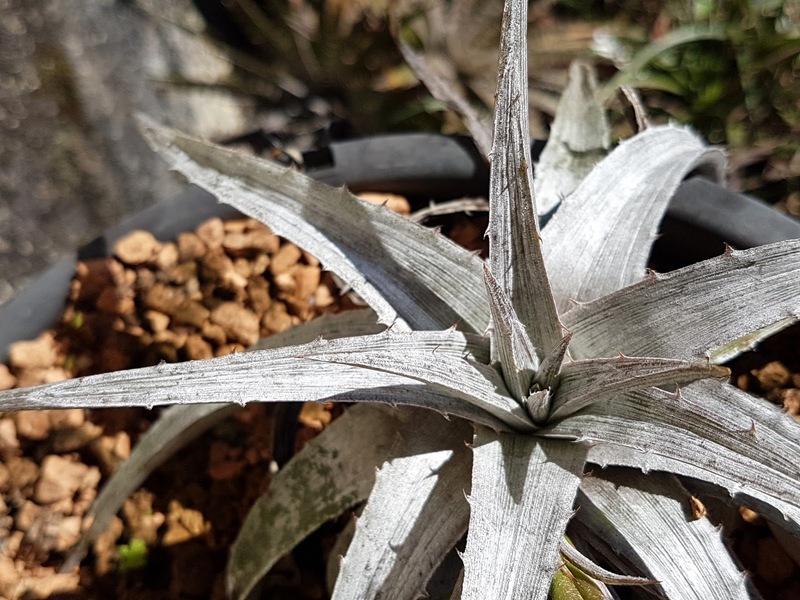 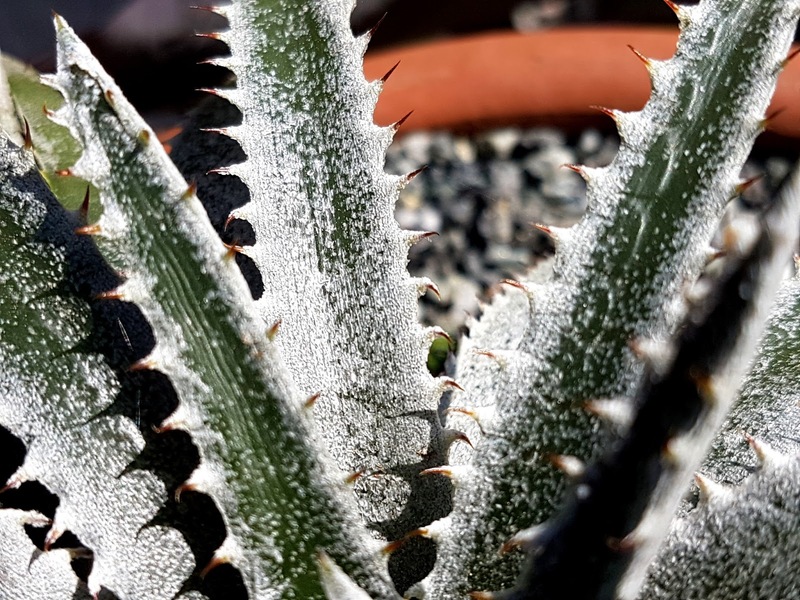 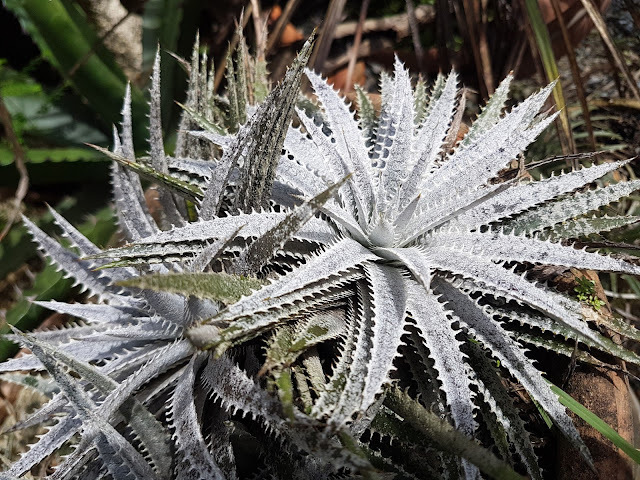 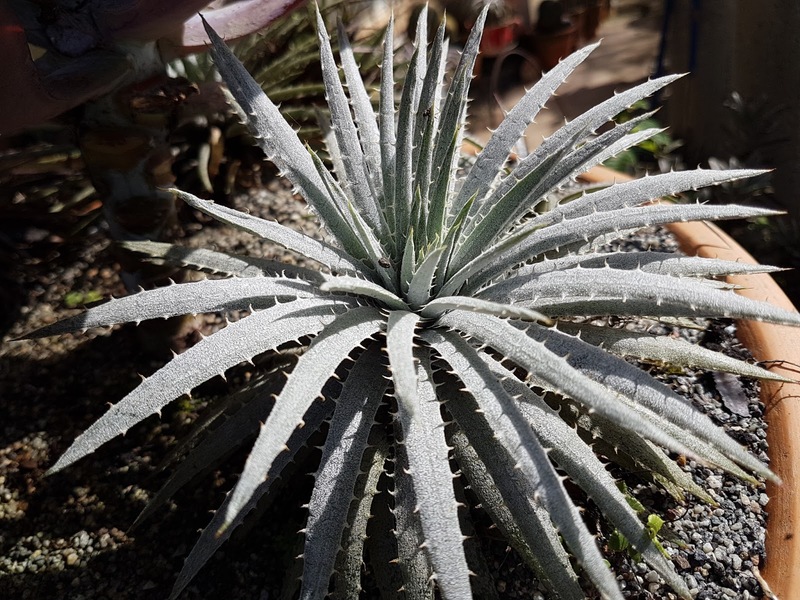 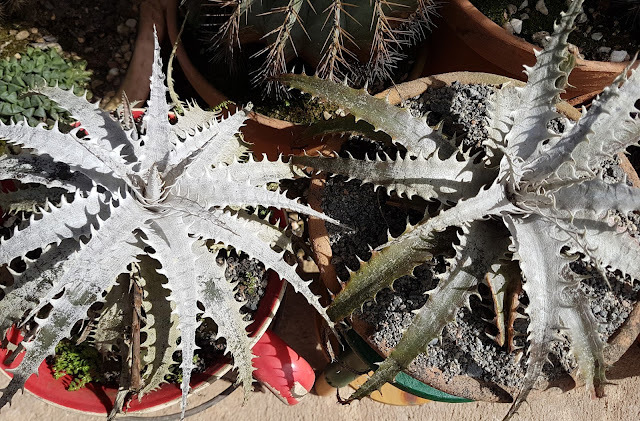 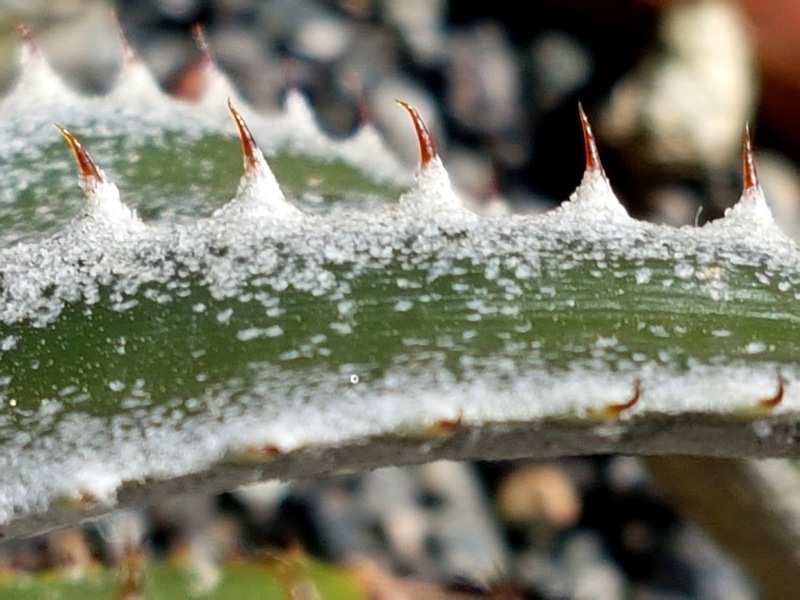 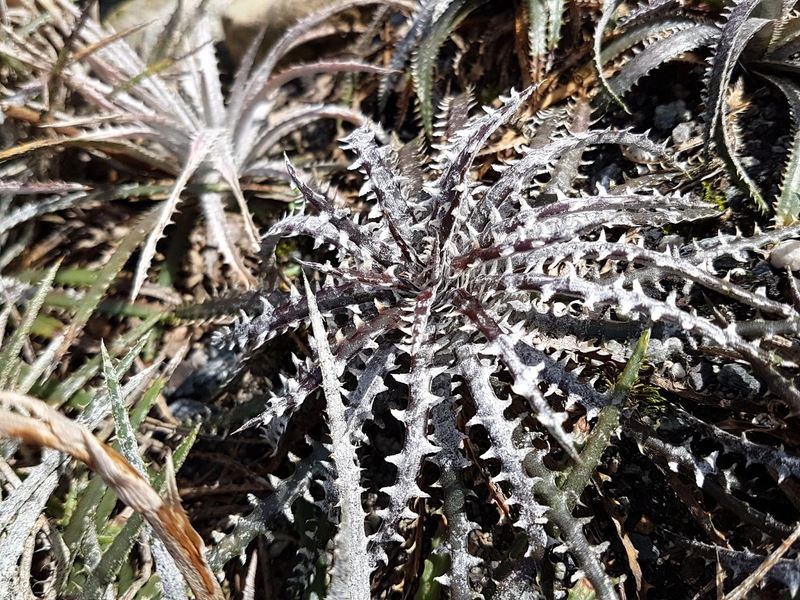 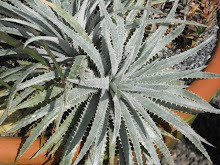 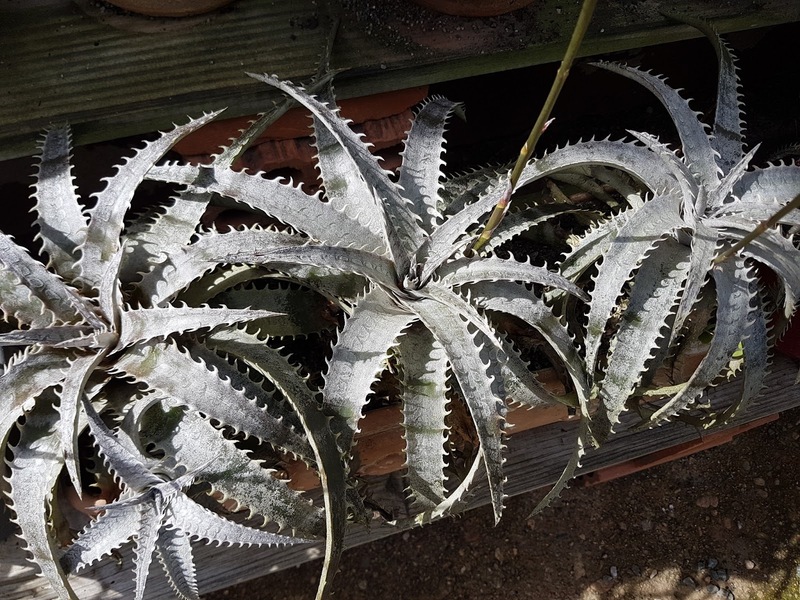 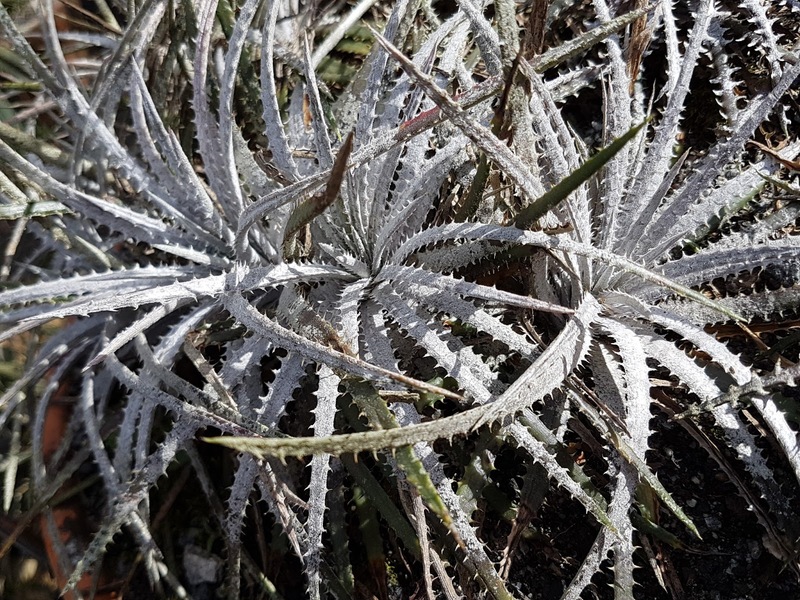 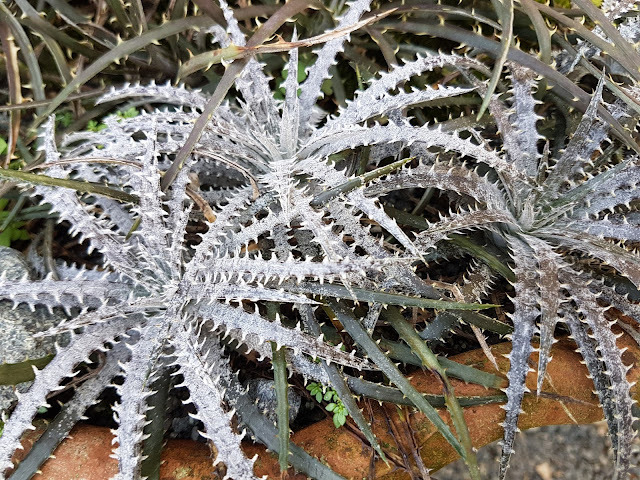 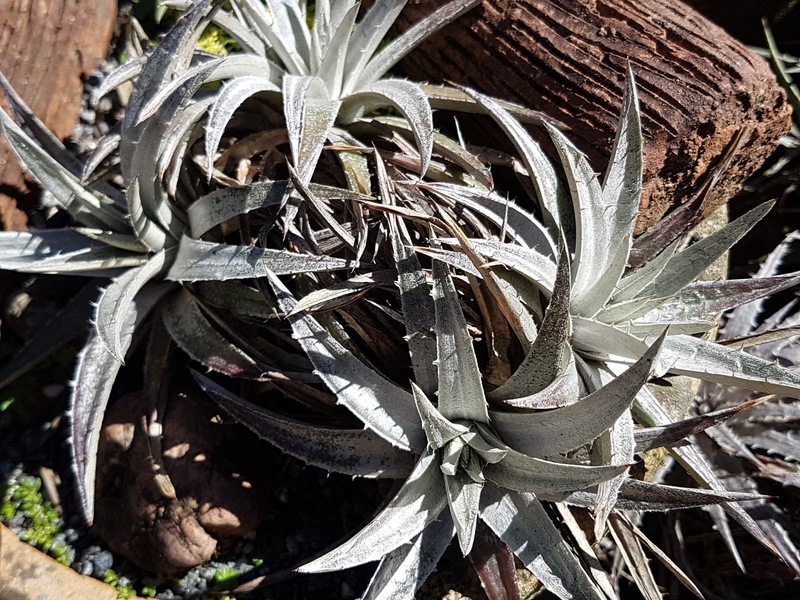 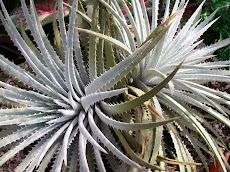 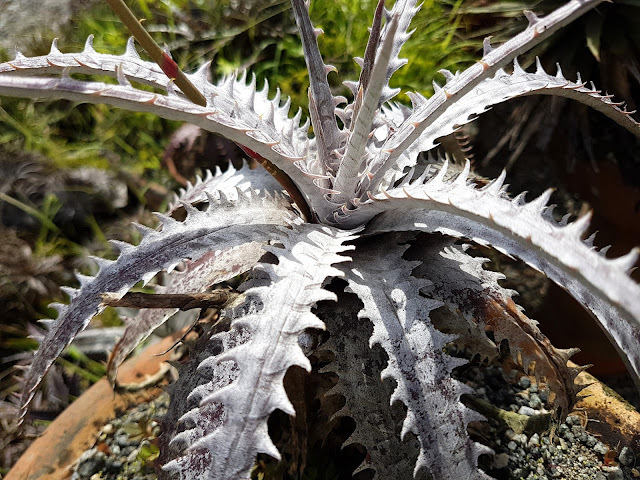 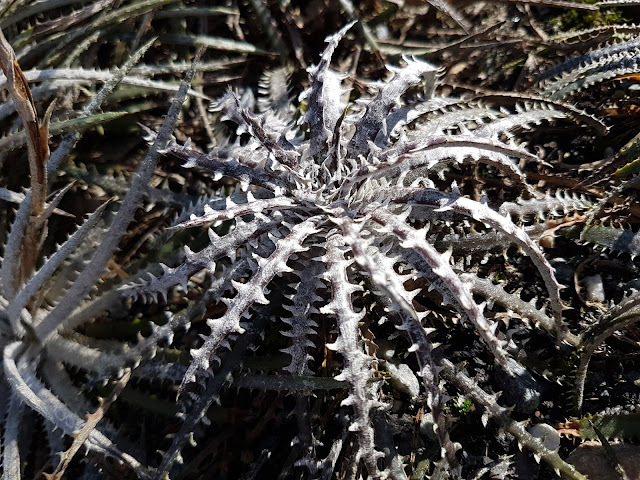 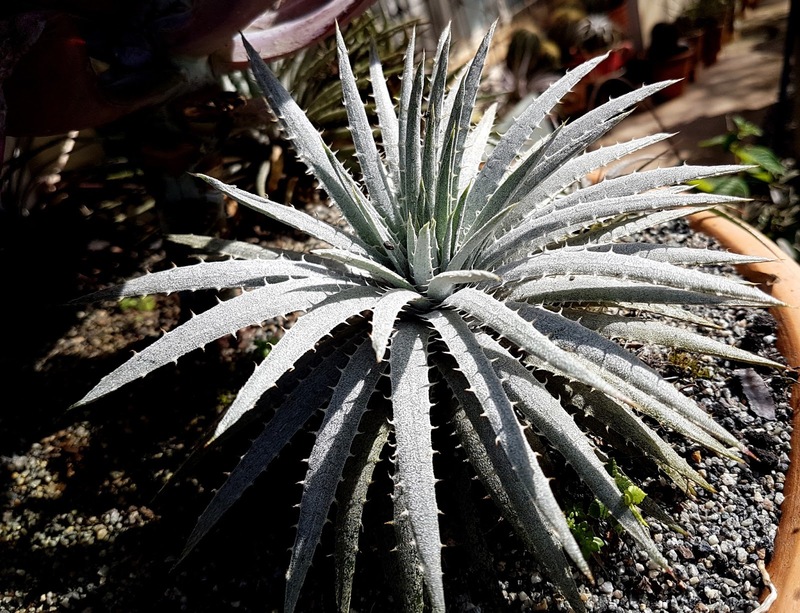 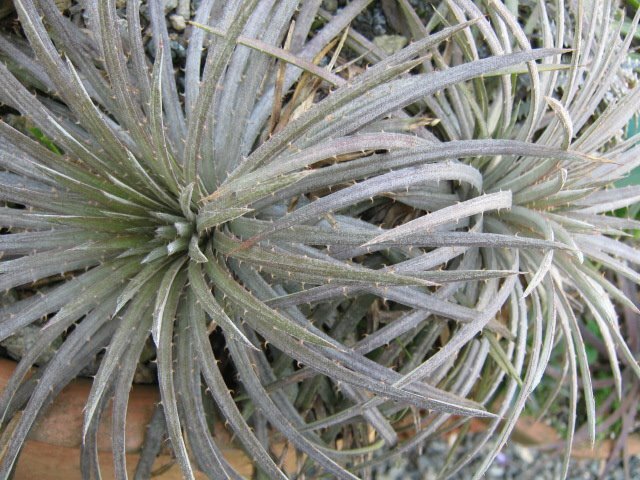 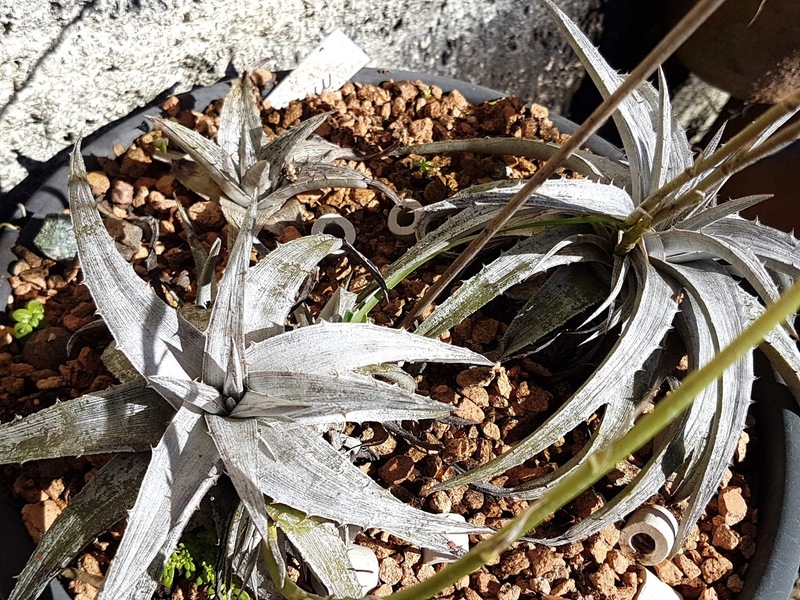 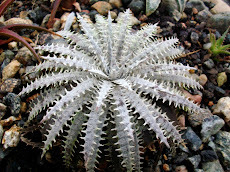 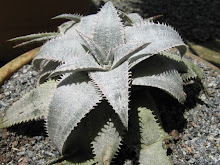 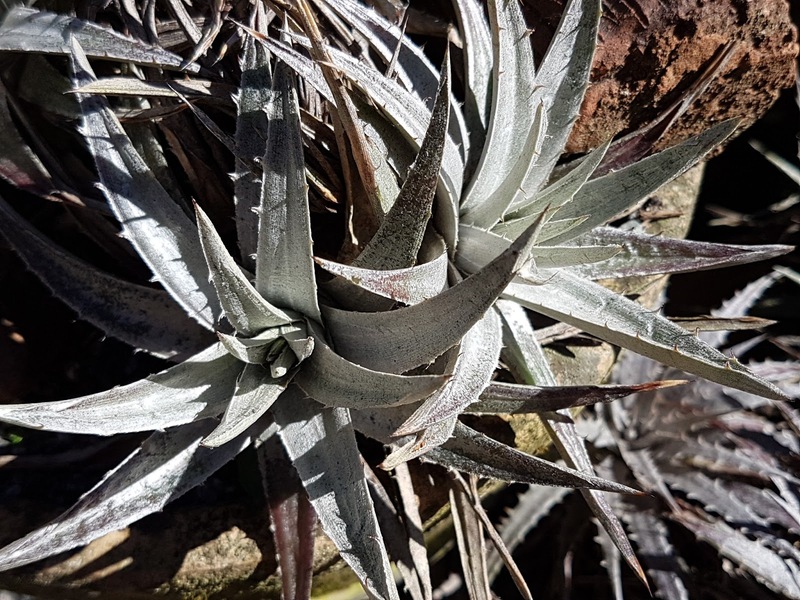 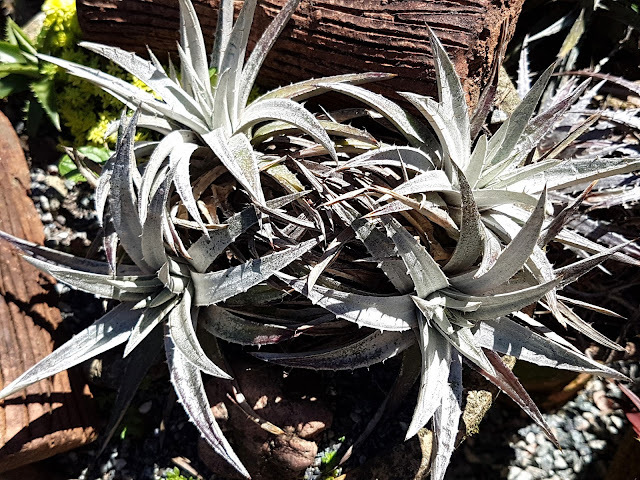 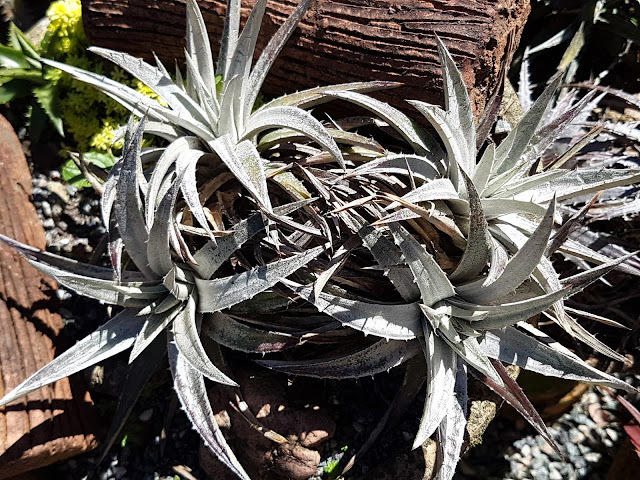 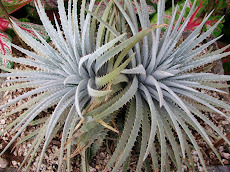 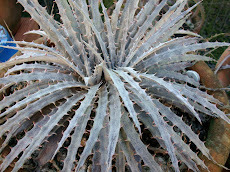 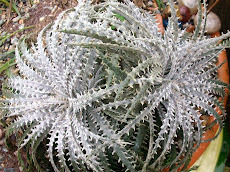 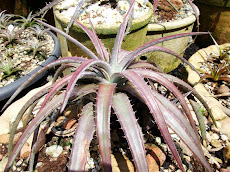 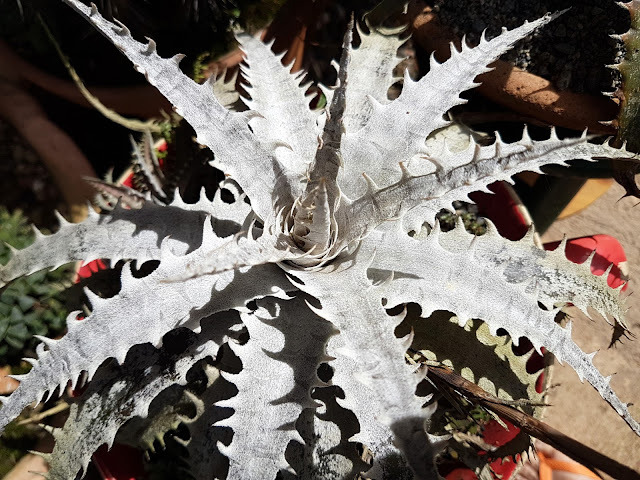 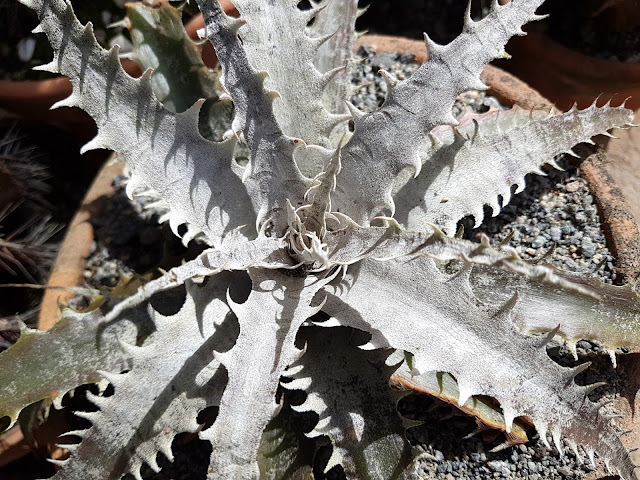 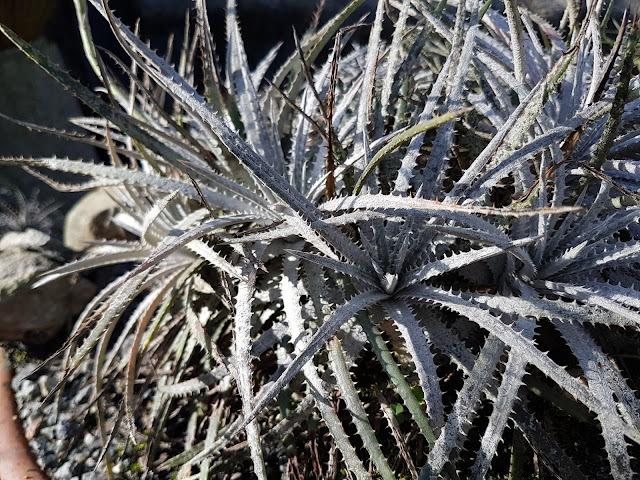 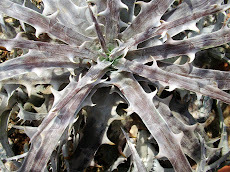 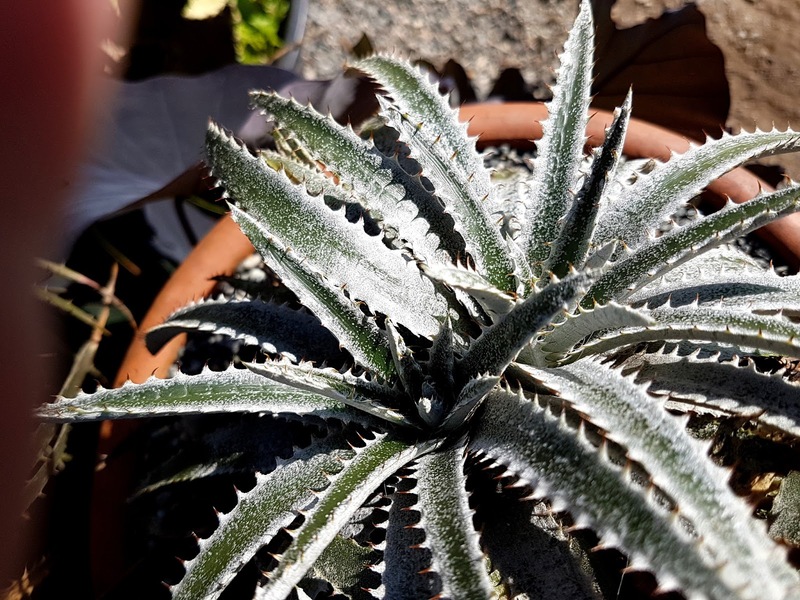 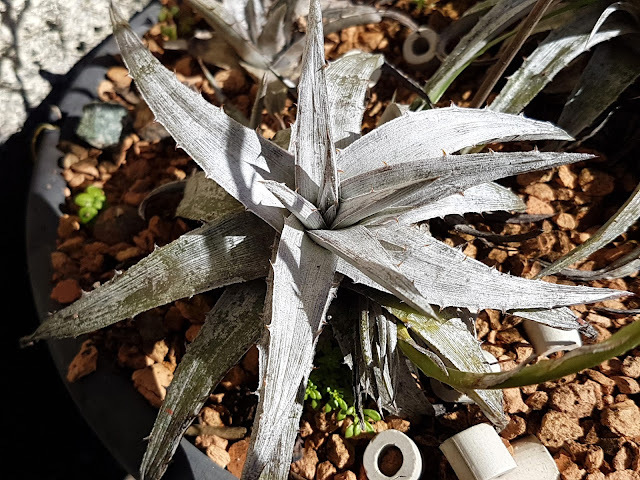 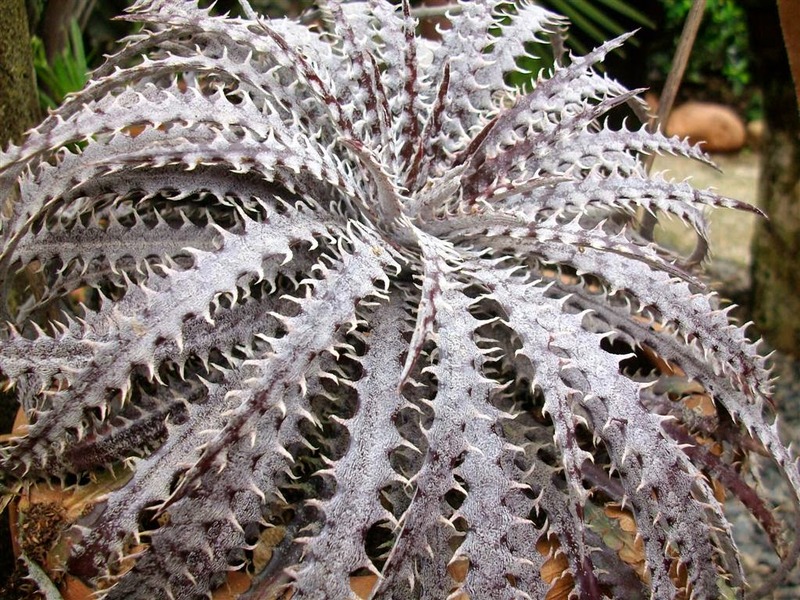 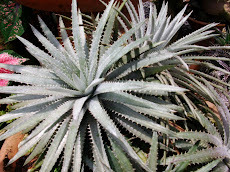 Dyckia incana, special for those who love them small and white. 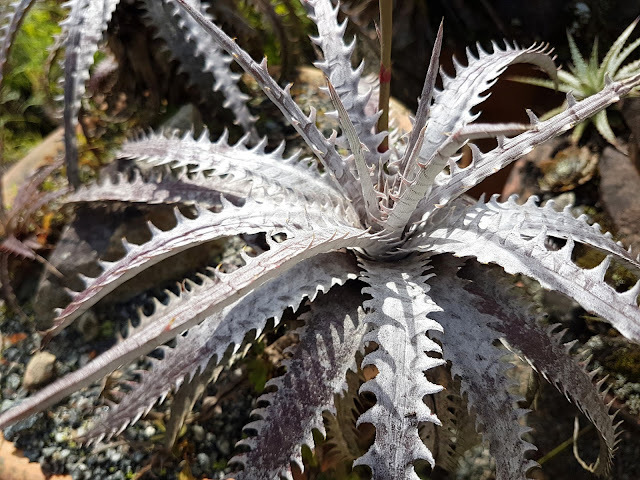 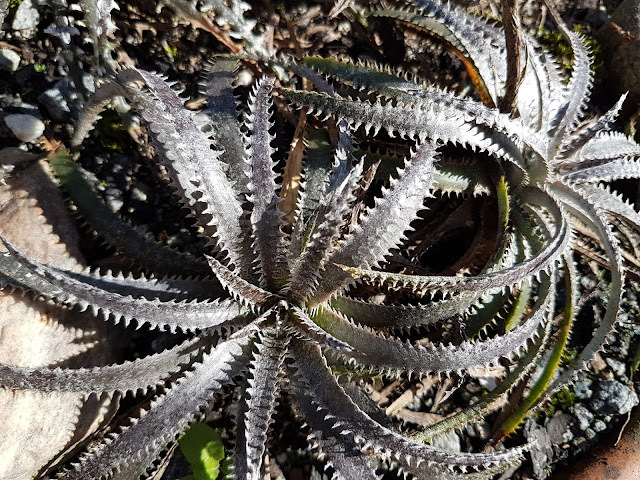 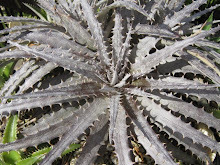 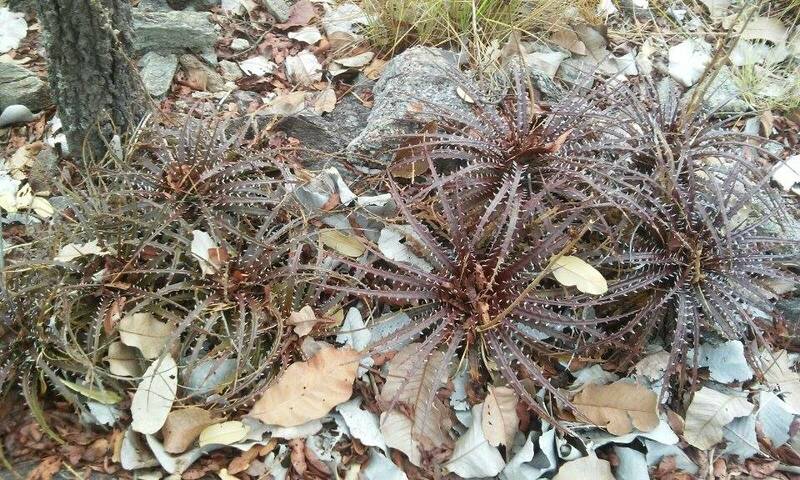 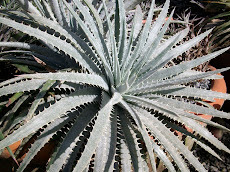 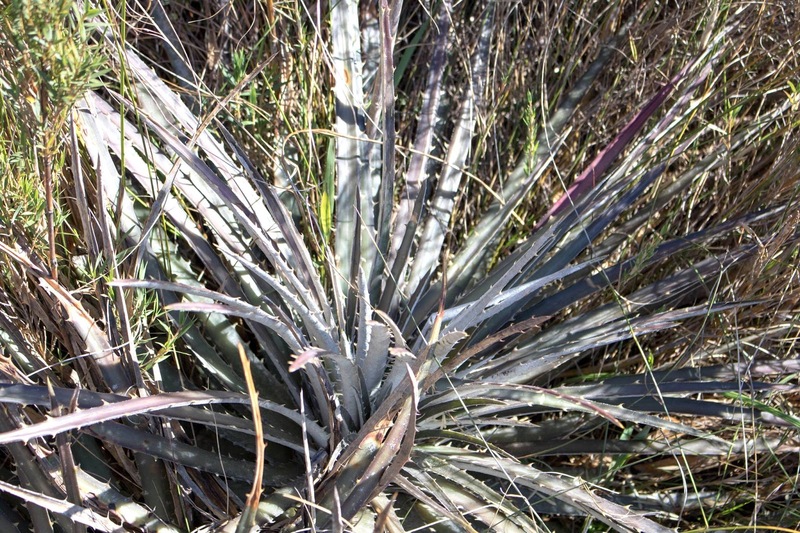 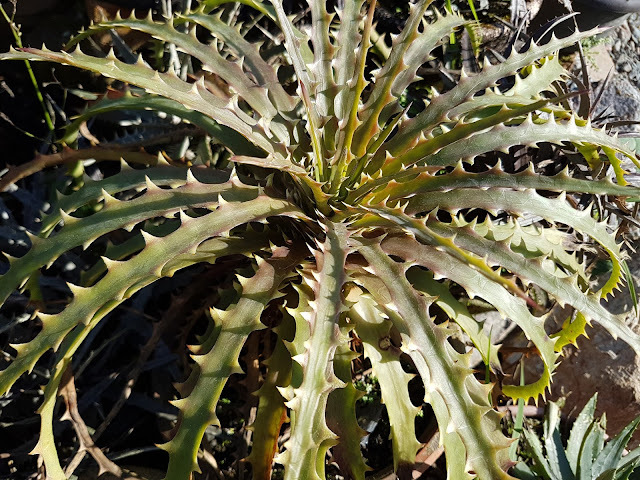 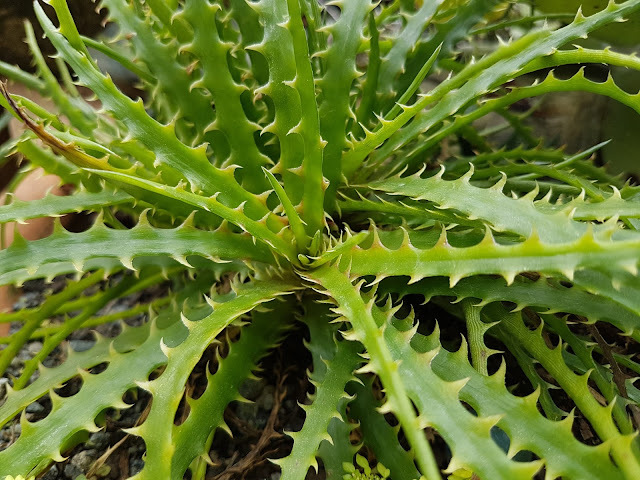 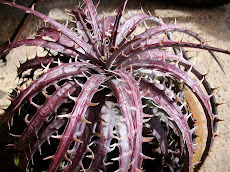 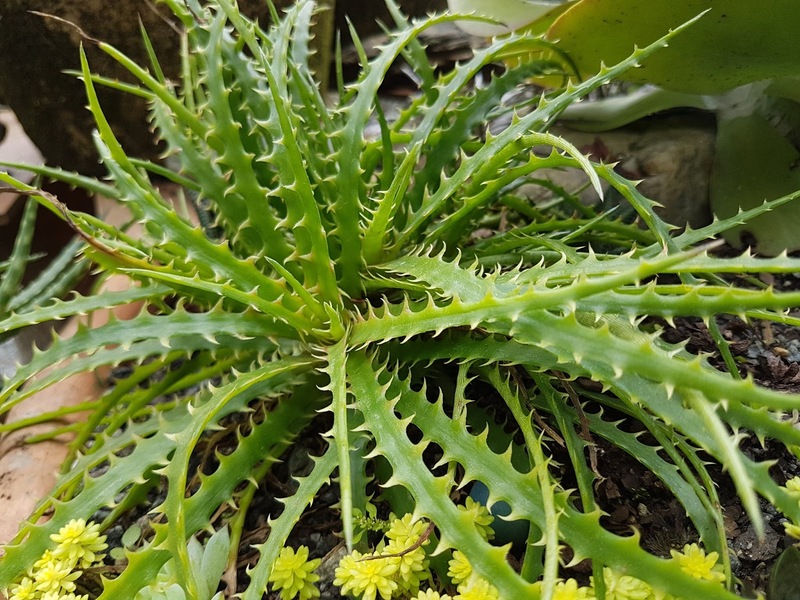 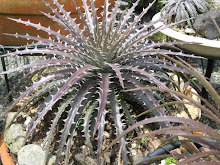 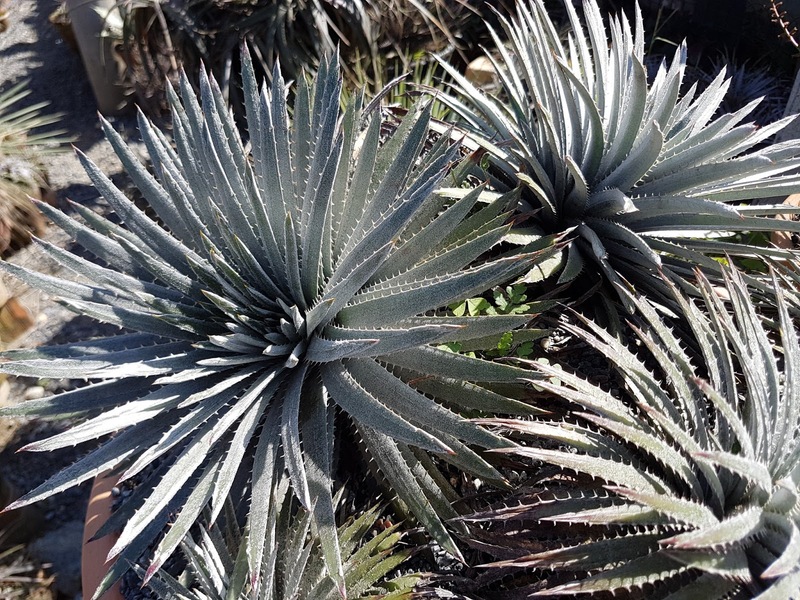 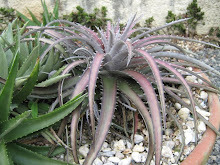 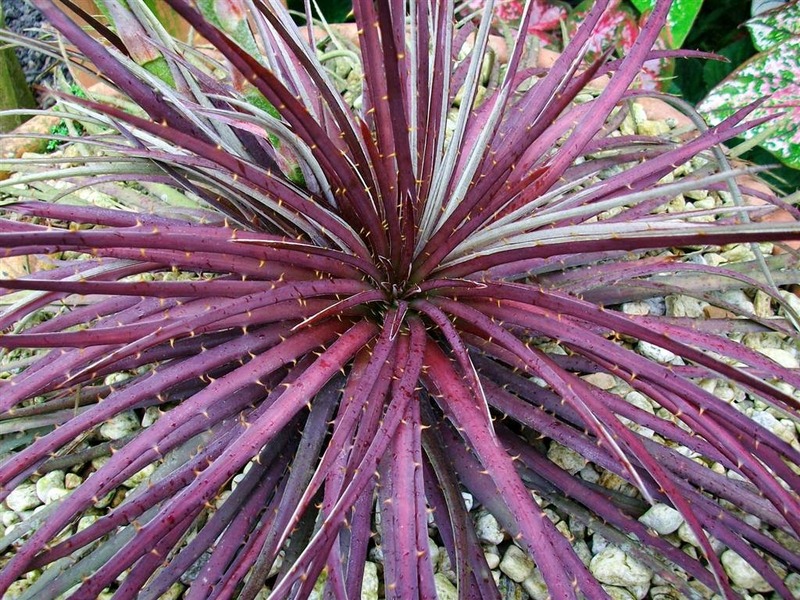 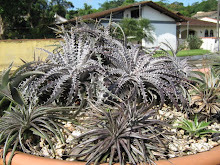 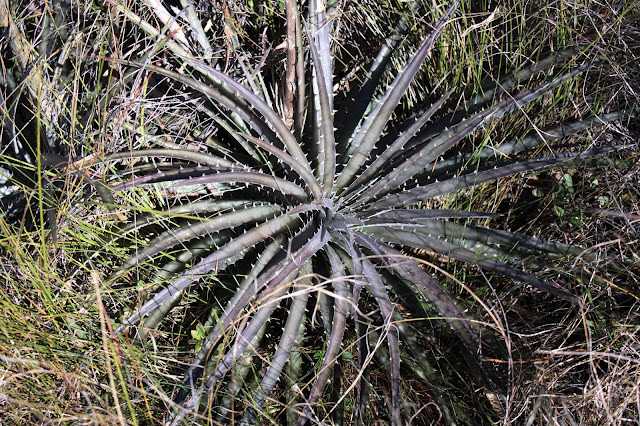 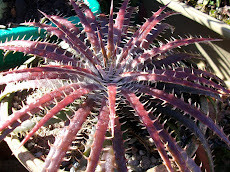 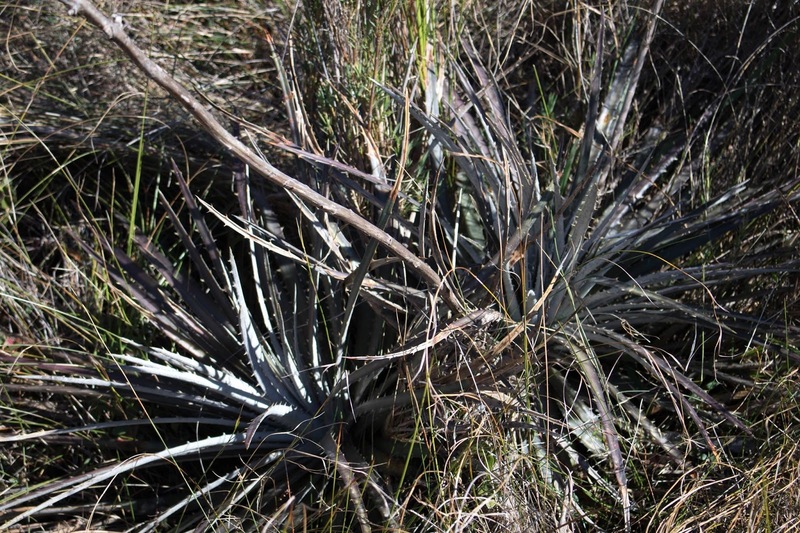 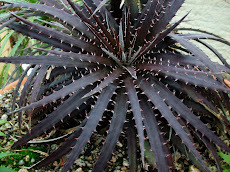 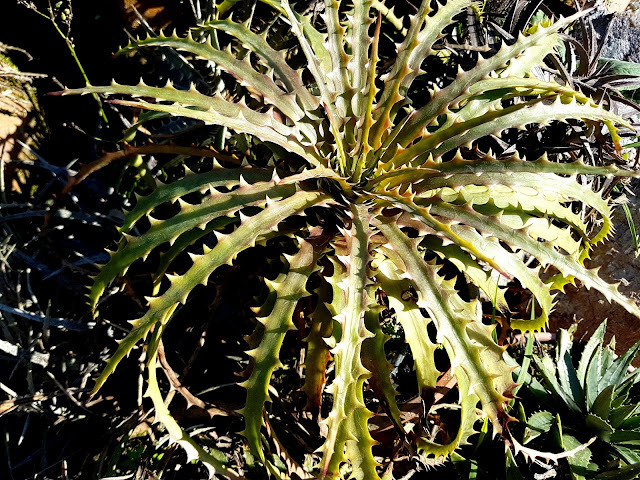 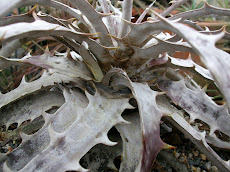 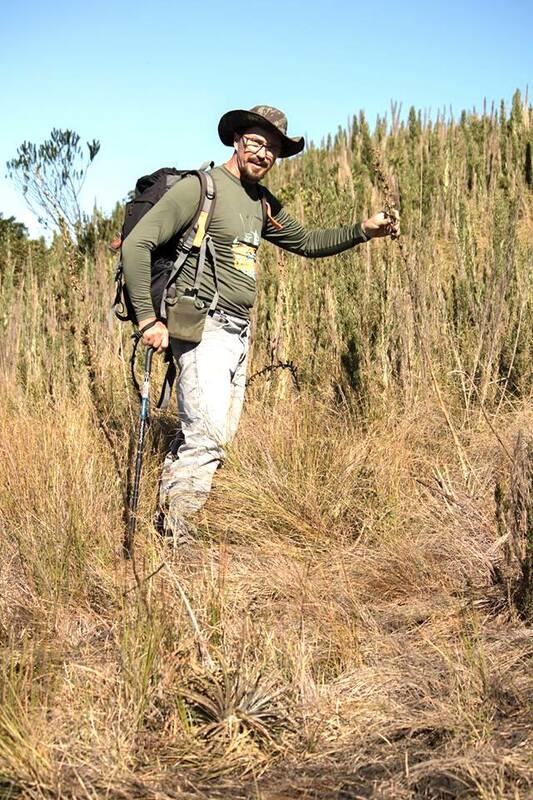 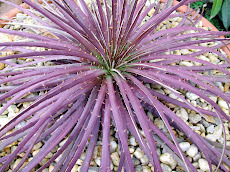 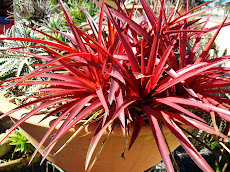 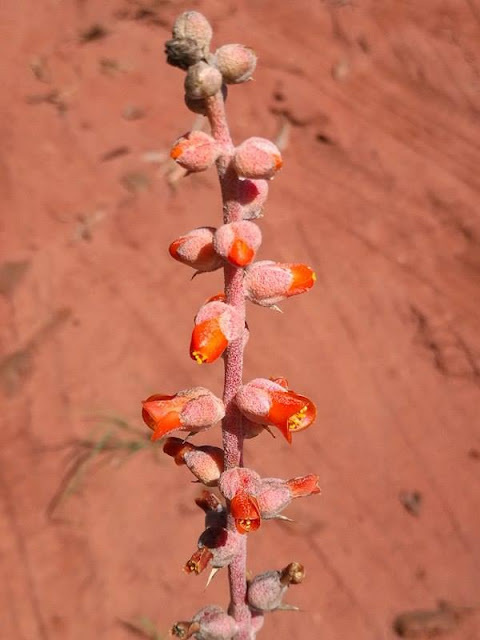 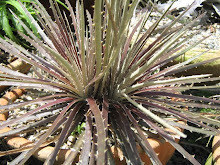 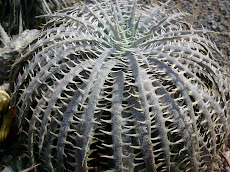 Dyckia goehringii var. 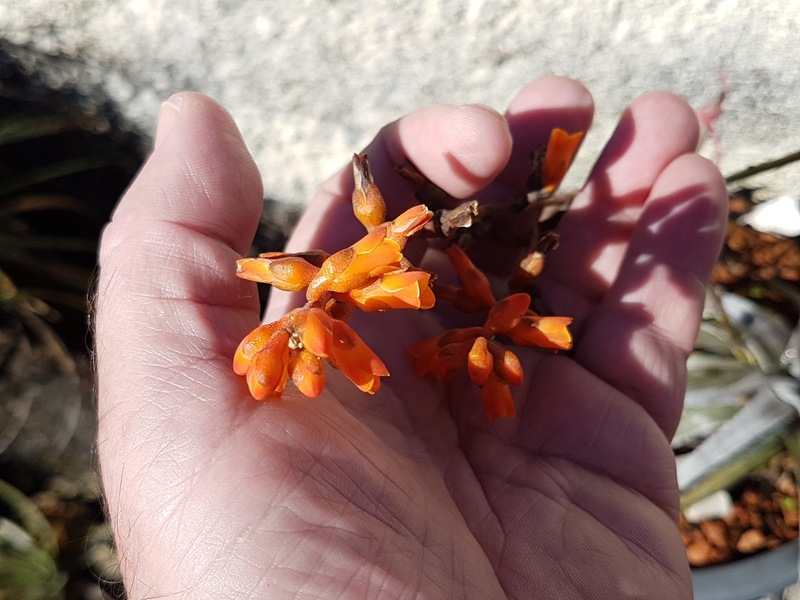 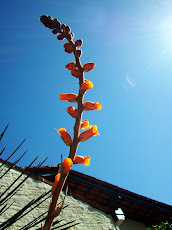 lemei, this one will marry a gorgeous marnier-lapostollei here. 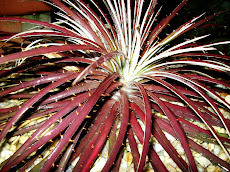 Nasty is an american made hybrid. 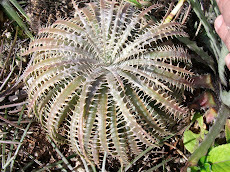 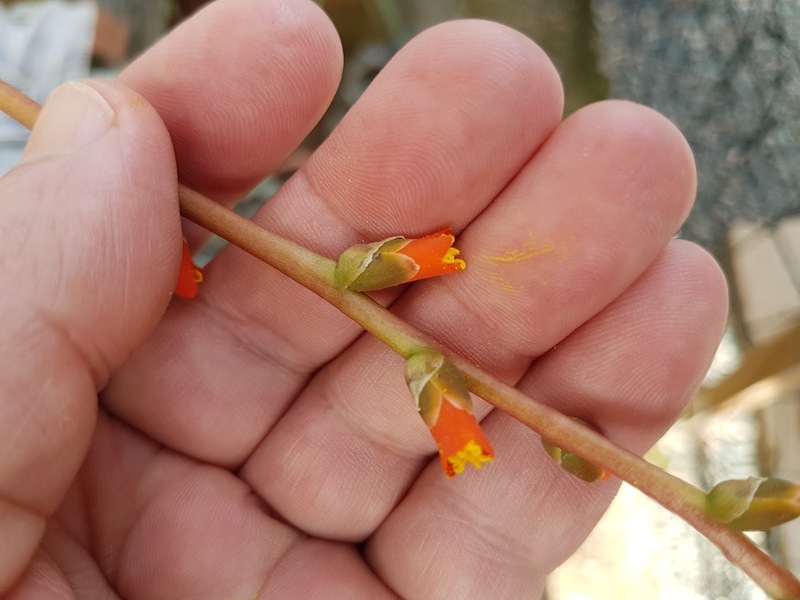 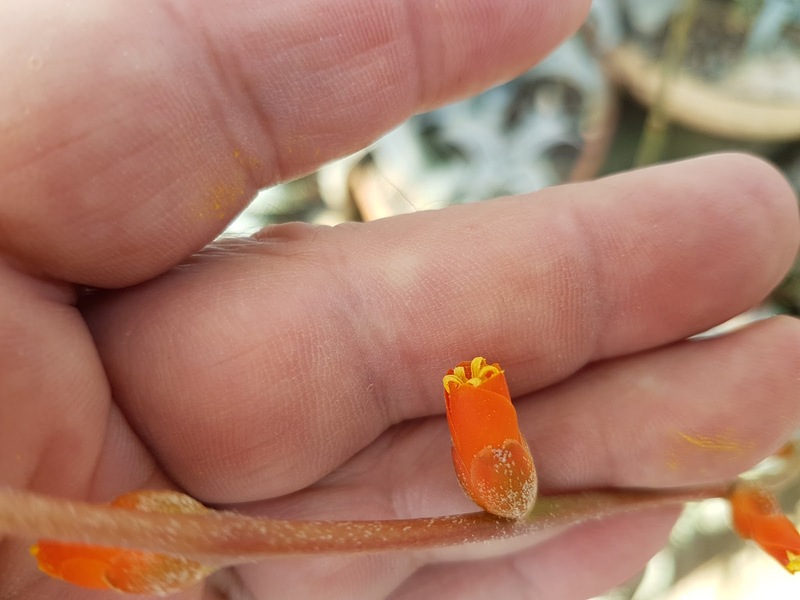 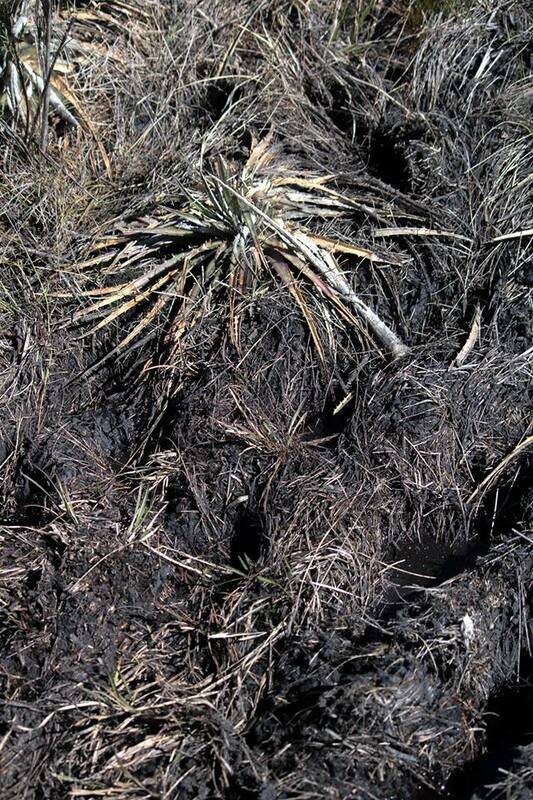 The resulting plant is almost scaless. 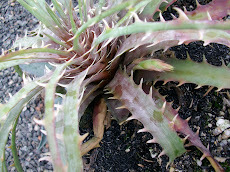 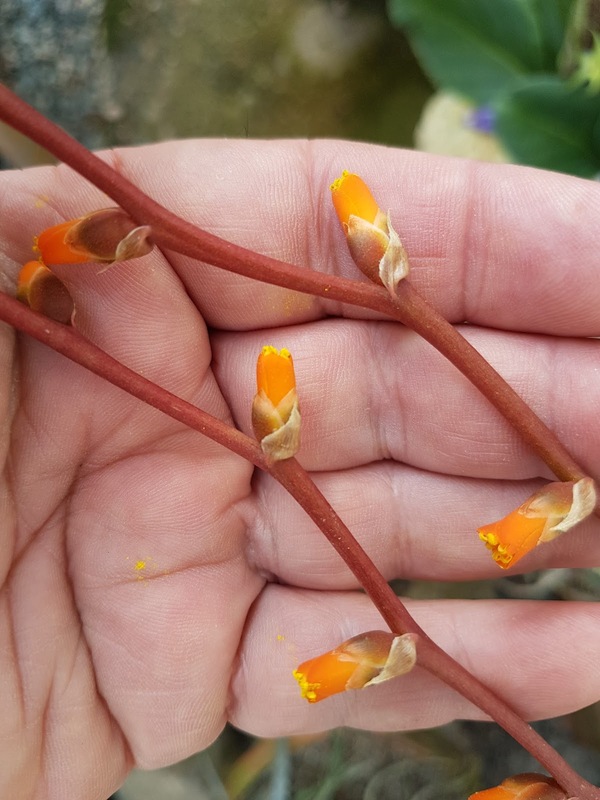 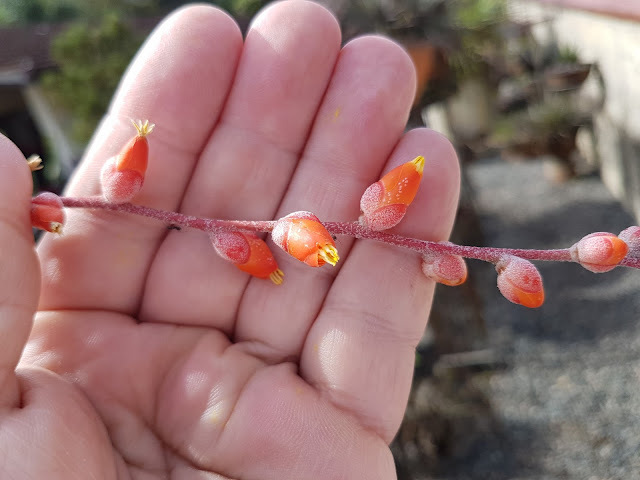 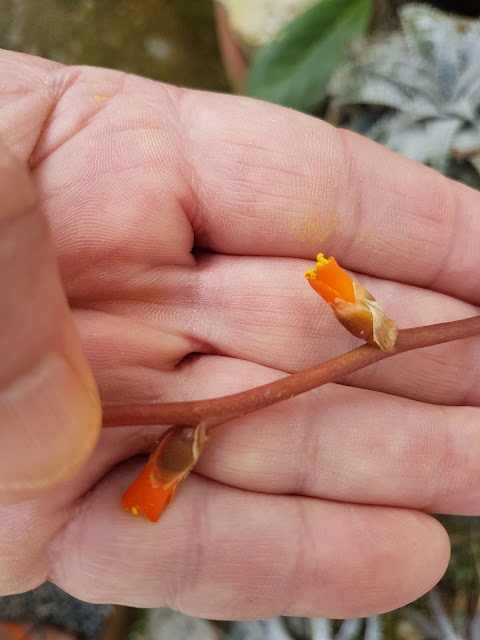 Thorns are getting bigger and bigger and the plant begins to color up. 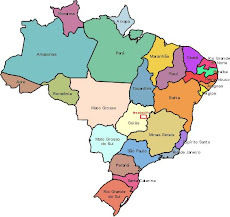 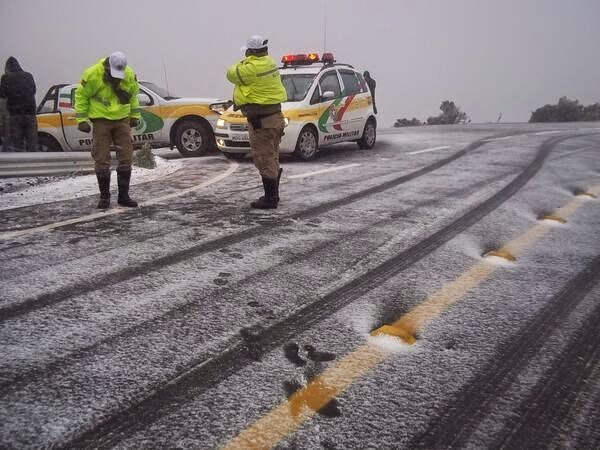 Brazil has much to show and we have much to see........ this is absolutely new.